The rib cage is a very important part of the body, as it provides protection for the delicate organs located in the chest cavity. Rib cage is made of twelve pairs of ribs, twelve thoracic vertebrae and a bone called sternum. The ribs are connected to the sternum through costal cartilage, which allows them to raise and drop inhaling and exhaling. 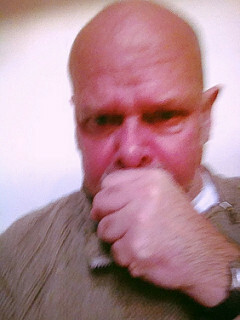 If they become inflamed due to illness or injury, it becomes quite painful to breathe in and out, to cough and to laugh. However, sometimes coughing alone can be so intense that it causes rib pain. There are several conditions that may be the cause of pain in the ribs when coughing. Costochondritis is probably the most common one. This is the inflammation of the costal cartilage, the one that connects the ribs to the sternum. Costochondritis may be caused by too much strain on the rib cage, due to contact sports, intense and repetitive jerking or swinging movements, like in golfing, rowing or tennis and similar. This particular inflammation can also occur due to respiratory infections. Intercostal muscles can also be affected by infections, and if that occurs, it causes rib pain while breathing. Rib pain when coughing can also be the result of a lung condition. Pleurisy is a condition in which the pleura, a membrane surrounding the lungs, becomes inflamed. The pleura has different layers and if the fluid accumulates between them, it causes pain and difficulty breathing. It is a serious condition that must be addressed. Rib pain from coughing can also occur due to joint conditions, degeneration of the cartilage or of the bones. In osteoporosis, osteoarthritis or rheumatoid arthritis, even the smallest strain can damage the ribs and even crack them, which, naturally, results in pain. In conditions that cause coughing, like respiratory infections, there is no particular treatment for the rib pain. Doctors may prescribe medications that will relieve the pain, such as non-steroidal anti-inflammatory drugs or nerve block injections. Of course, the cough should be treated with medication like cough drops or syrup and similar. The patient will have to wait until the illness is cured and the coughing subsides. In degenerative conditions affecting the cartilage and the joints, the rib pain from coughing is treated by addressing those issues. In case of cracked ribs, the usual treatment is RICE, which stands for rest, ice, compression and elevation. Rest is the most important part of the recovery. Cracked ribs take from three to six weeks to heal but ruptured ribs may require more time. Why Does The Breastbone (Sternum) "Crack"? Can you crack your ribs if you cough really bad?